While facilitation is easy on the one hand, it is mightily challenging on the other. Thorough preparation is required while constant flexibility during the workshop remains necessary. 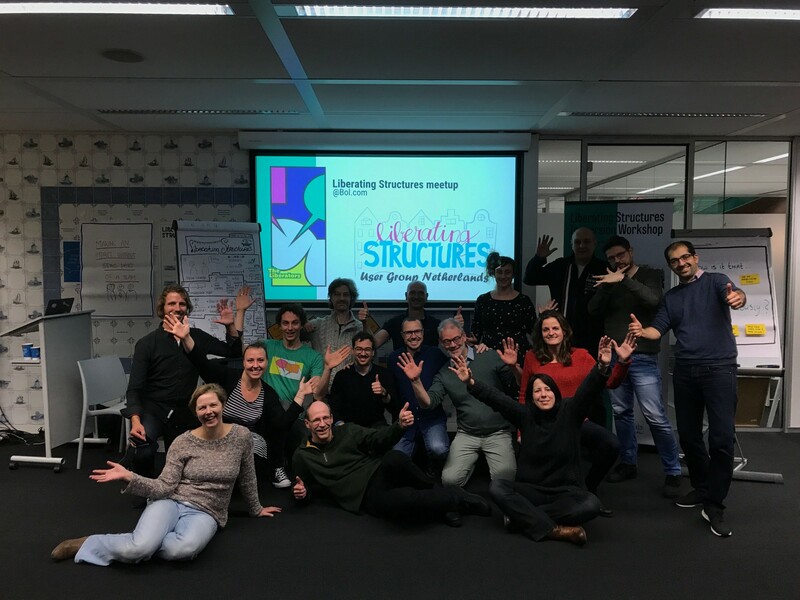 With the Liberating Structures User Group Netherlands, we have multiple workshops in which we experiment (and fail) on a regular basis in order to find this balance. 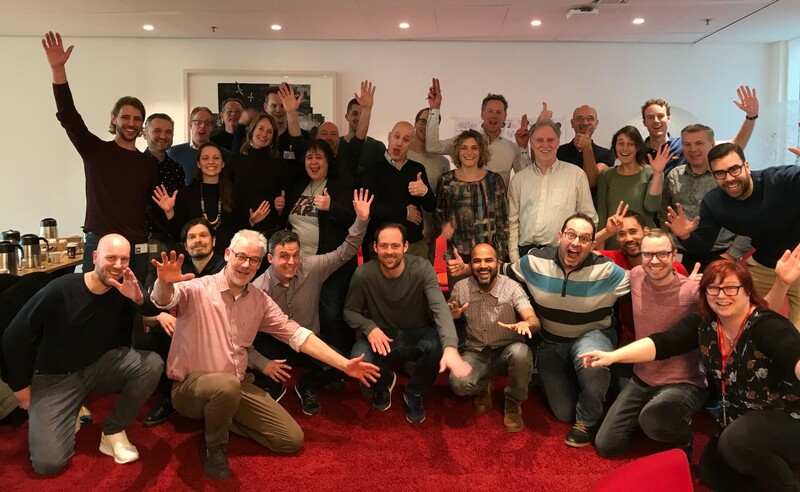 In this post I’ll show you why this is an awesome opportunity to learn about, and experiment with, Liberating Structures by sharing experiences and insights from the ninth User Group workshop. Liberating Structures (LS) are facilitation techniques that allow you to unleash and involve everyone in a group — from extroverted to introverted and from leaders to followers. In the Dutch User Group, we practice the use of LS with experienced users and novices together. With over 700 members, we can state that there is quite some interest in these novel facilitation techniques. 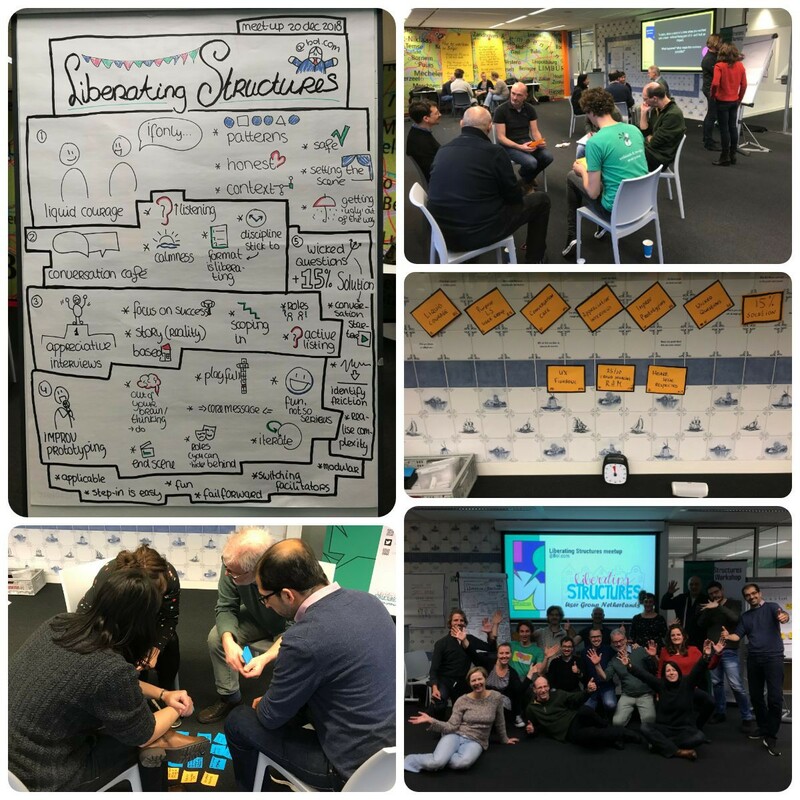 With the Dutch User Group, we organize monthly 2- to 3-hour workshops to practice and explore how to use Liberating Structures in a wide variety of situations. Most of these workshops are free, and announced using the Meetup platform. If you are interested in participating in one of our meetups, you can register on meetup.com and select which workshop (or meetup) you would like to attend. This clearly shows that we were adjusting on-the-go. And with ‘we’ I mean the User Group as a whole: everybody is free to share his or her ideas. Ultimately, it’s up to the design team to decide whether or not to change the string. Wicked Questions is about exposing strategies that seem to pursue opposing results, not about generating solutions. These are valuable lessons learned, and that’s all the User Group is about. During the debrief, we found that Troika Consulting or Critical Uncertainties could complement Wicked Questions in a more fluent way. This is because Troika Consulting and Critical Uncertainties have an exploring character (just like Wicked Questions) before they guide participants to solutions. Come to one of the LS User Group Meetups! I really like to experiment and learn by experience. My intention is to share some of my insights and to encourage people to join the Liberating Structures User Group. The Meetups are free, the atmosphere is friendly and the learning is invaluable. Hope to see you at one of this year's Meetups! Thanks to Ziryan Salayi and Christiaan Verwijs.